Forest green, sunflower yellow, ocean blue: these are the colors of Brasil! the country hosting the most important sporting event in the world. 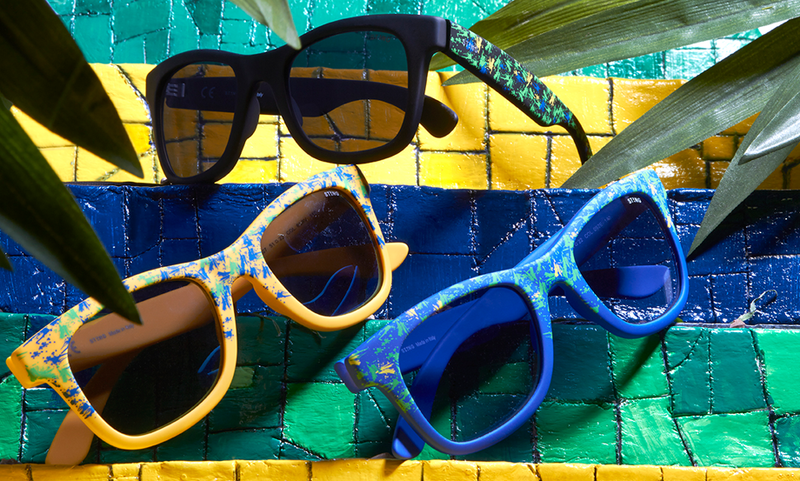 ST!NG Eyewear chooses to honour the highly awaited competition with enthusiasm, launching an exclusive capsule collection: ST!NG LOVES BRASIL! Color takes centre stage, taking inspiration from the liveliness of Rio, the colors of their country’s uniform and their legendary flag. ST!NG EYEWEAR lives the spirit of the Olympic Games full throttle, with three models of sunglasses designed for those who love originality and joy, and want to feel part of the unique, magic Brazilian atmosphere, made of parties, folklore and passion for sport. The limited edition ST!NG LOVES BRASIL is in synch with Rio athletes, sporting three different colors: yellow, blue and black. The rectangular frame is rubber coated, perfect for those who love classic shapes and comfort. A fun motif of multicolor prints makes these specs a real must-have for summer!